Day 02: New Delhi :- After a leisurely breakfast move out for a long day sightseeing of Old Delhi (Shahajahanabad), which includes the Red Fort, Chandni Chowk & Jama Masjid along with other attractions. Later after lunch drive past through impressive boulevards and buildings such as President’s Residence and others in Lutyen’s Delhi (New Delhi). Evening free to move around the colourful markets for shoping. Overnight in Delhi. Day 07: New Delhi :- Drive back to Delhi with lunch at historic Neemrana Fort on way. Reaching New Delhi, transfer to airport for onward travel or transfer to a city location of your choice. 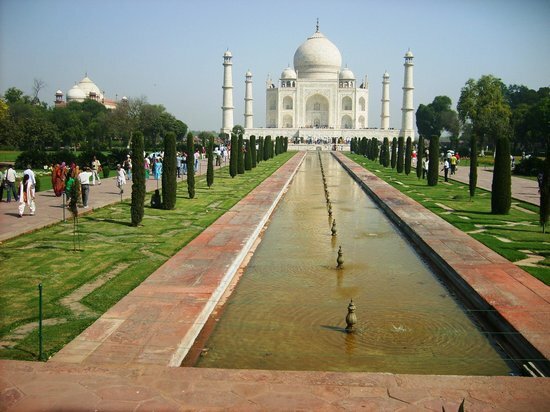 Where better to go for a romantic holiday than to the great testament of love, the Taj Mahal? Built by the grieving Mughal Emperor Shah Jahan in memory of his late wife Mumtaz Mahal, the Taj Mahal’s unrivaled beauty explains why it’s regarded as one of the eight wonders of the world. A visit to India wouldn’t be complete.